The company was formerly Huzhou still love cosmetics firm. Since its inception in 2006, with advanced marketing methods, as well as cosmetics, accurately grasp the consumer market, showing a good momentum of rapid growth. In order to meet the needs of development, to better serve the market terminals, in July 2010 the company moved to Suzhou Wuzhong building, and in June 2010 the formal establishment of the Suzhou Wuzhong District still love Cosmetics Co., Ltd.. Currently, the companys proxy Po Laiya, peloton, Aili Korea, Europe and other factors nearly a thousand species of a single product brand, provide a full range of services and guidance to each franchisee end customers, now has a strong marketing network, the companys department store shopping malls, cosmetic boutiques to major marketing channels, forming a multi-brand, multi-channel full range of market layout. 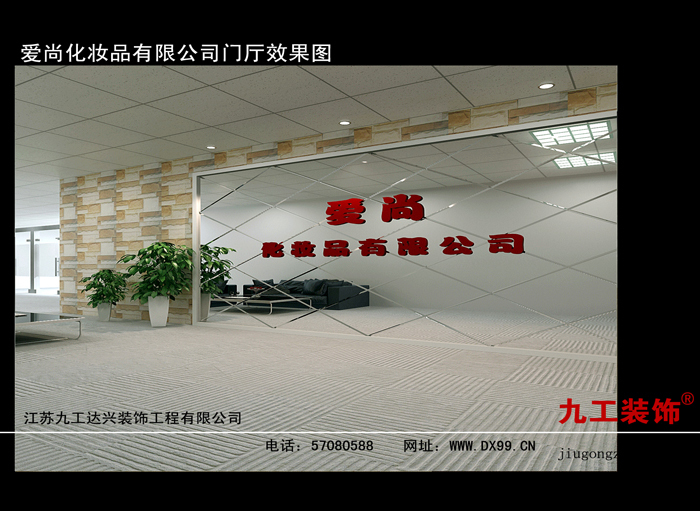 We provide services for the company in October 2013, the service says: Wall decoration.